Welcome to the multifaceted world of Pieter-Dirk Uys: author, actor and activist. This website contains a wealth of material — both current and archival — by and about the prolific South African writer, entertainer, activist and philanthropist. 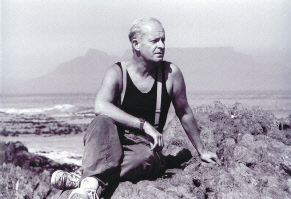 The website’s Issues section features articles on matters of current concern to PDU, as well as bringing together both current and archival articles specifically relating to issues for which Pieter-Dirk Uys has long been an active campaigner — HIV and Aids awareness and education, freedom of speech and expression, and voter education and registration. The website also includes an extensive collection of newspaper and magazine articles both by and about Pieter-Dirk Uys, as well as a collection of reviews of PDU’s plays and one-man shows. These archives of articles and reviews are a work in progress, with new material being added frequently. But please read the plays with pleasure. We hope to add further PDU play texts in future. If there is a specific Pieter-Dirk Uys play that you would like to see included on the website, please send an email to the webmaster.